A Britten-Norman BN-2A-21 Islander passenger plane, registered N663SA, sustained substantial damage in an accident at Kodiak Airport, AK (ADQ). All three on board were injured. The airplane was taking off from Kodiak runway 25, on a domestic flight to Old Harbor Airport, AK (OLH). 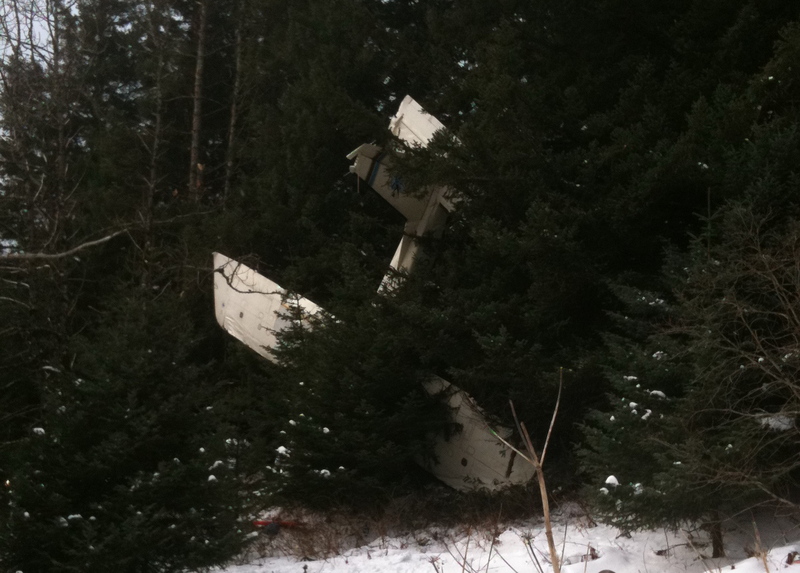 The Islander contacted the tops of trees past the end of the runway and came to rest nose down on the ground in a stand of trees, the branches supporting the plane in a vertical position. [Wind 290 degrees at 21 knots, gusting to 27 knots; visibility 7 miles; light snow; scattered clouds at 2,500 ft and 3,000 ft; temperature 1 degree C, dew point -3 degrees C].